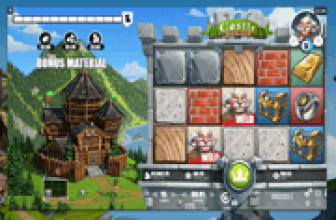 Gold King Online Slot: Super Stacked Symbols and Super Spins Can Bring Big Wins! Gold King is a PlayNGo, 20-payline online slot depicting King Midas' Golden Touch. Every high-paying icon comes in Gold, while the low-win A, K, Q, J and 10 Symbols are with a hint of Gold. The Gold King has apparently touched the Red Rose Wild as well, as some of the petals are already gilded. On any paid spin, a rush of gold elements may occur. The game commits to fill 12 contiguous positions in all reels with a randomly selected regular-paying icon. The chosen image or symbol therefore has great potential to emerge as Super Stacks of Symbols. In conjunction with the Super Stacks feature, any paid turn may also become a Golden Spin; producing Super Stacks of images in strategic grid positions. The image of the Gold King is the most eventful. A scattering of three or more occurring as outcomes of a paid spin, activates the Super Spins Bonus Round. Thereafter, more golden opportunities will transpire, as the round will carry on in a different set of reels. The Bonus Game grid contains Super Stacks of Red/Gold Rose Wilds. Moreover, top-paying golden objects expand, in order to fill an entire reel. Even the low-win A, K, Q, J and 10 Symbols may appear as Super Stacks of icons during the free round. The Red/Gold Rose is a very productive reel element. It represents the wild card that can take the place of any regular-paying icon. At the same time, Rose Wilds, landing as matched contents in appropriate places of a paying line, bring the highest rewards awarded by the game. A set of 2, 3, 4 or 5 Rose Wilds, forming a winning combination, correspondingly awards a cash prize equal to 10x, 50x, 50x or 250x the Line Bet. PlayNGo's Gold King content comes with a commitment that on every paid roll, 12 adjacent spaces of the grid will be filled with stacks of identical symbols. The icon that will appear in Super Stacks will be selected arbitrarily. This feature promises a more definite outcome of the Super Stacks facet. A paid spin turns Golden when Reels 1, 3, and 5 present identical Super Stacks. The possibilities of hitting multiple winning combinations are great. A Super Stack of Golden Object matching those that land in Reel 2, will result to noteworthy payouts. More so, if the matched grouping extends into a 3, 4, or 5-of-a-kind winning combination. After all, gold objects such as the Gold Crown, Gold Ring and Gold Bar, has payouts on as few as 2-of-a-kind. The Gold Crown for one, awards 4x the Line bet when the symbol lands on the first and second positions of a paying line. Longer Gold Bar arrangements of 3, 4, or 5, garner 20x, 100x, or 500x the value of the Line Bet, respectively. A scattering of 3 or more Gold King icons across the base game grid, awards 10 free games as initial reward. During the round, every 1, 2, or 3 Gold Midas images occurring as bonus-spin outcomes, add 2, 3 or 4 extra spins to the free sessions. According to Game Info, there is no limit on the number of additional spins extending a bonus round. • Every Gold Crown, Gold Ring or Gold Bar that lands on any reel after a bonus spin, will expand to become a full-reel Super Stacks. • Reels will contain Super Stacks of 6 to 7 Red/Gold Rose Wilds. • There will be instances in which low-win A, K, Q, J and 10 icons will emerge as Stacked Symbols. 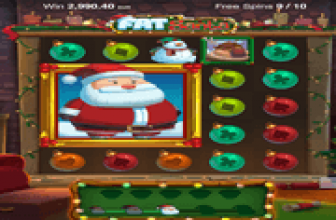 Gold King : Super Free-Spins w/ Expanding Symbols May Extend Without Limit! Gold King online slot permits players to extend the Super Free-Spins round without limit. A single Gold Midas icon adds 2 Extra Free Turns; greatly increasing players' chances of garnering as many bet-free payouts as possible. 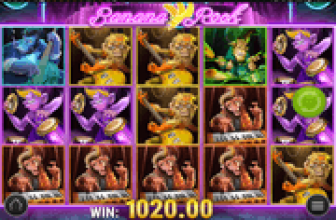 The chances of hitting notable bonus wins are great as the free games run on a set of reels configured with Super Stacks of Wilds and Super Stacks of low-win symbols. Even more awesome, is that the high paying Gold objects that award pays on as few as 2 alike images, expand into full reel Super Stacks when emerging as outcomes.